Bicycle Accident Lawyers, Silver & Silver, P.A. Bicyclists have the same rights on the road as people in a car and many communities have dedicated bike lanes that are designed to protect riders from some of the hazards they frequently encounter in traffic. Operators of motor vehicles have a responsibility to recognize and respect the rights of cyclists. When they fail to do so and accidents happen, victims can suffer life-changing or even fatal injuries. If you have suffered a serious injury or a loved one has been killed in a bike accident, it is important that you seek the advice of a qualified Boca Raton bicycle accident attorney immediately. If the accident was caused due to a motorist’s negligence, you may be entitled to seek compensation for your medical care, time away from work and other losses. 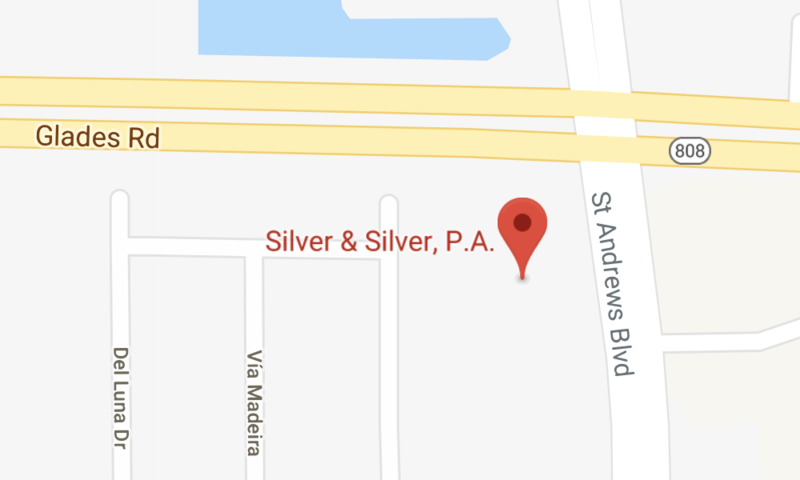 With its principal office in Boca Raton and serving clients throughout South Florida, the law firm of Silver & Silver, P.A., represents injury victims and their families in a wide variety of bicycle accident claims. We understand how overwhelming it can be to face complex legal issues following a serious injury. We will be there with you from start to finish, constantly working to obtain the most favorable possible outcome on your behalf. We hold negligent drivers accountable and challenge any effort their insurance companies make to avoid responsibility for your injuries. We work with medical specialists and other experts to gain a complete understanding of how your injuries might impact you over the long term and pursue damages for any future care you may require. Contact our firm today to discuss your bicycle accident injury claim with a lawyer. You can reach us by phone at our principal office in Boca Raton by calling 561-235-3219 to schedule a free initial consultation. We are also available for consultations in Boynton Beach and Wellington.